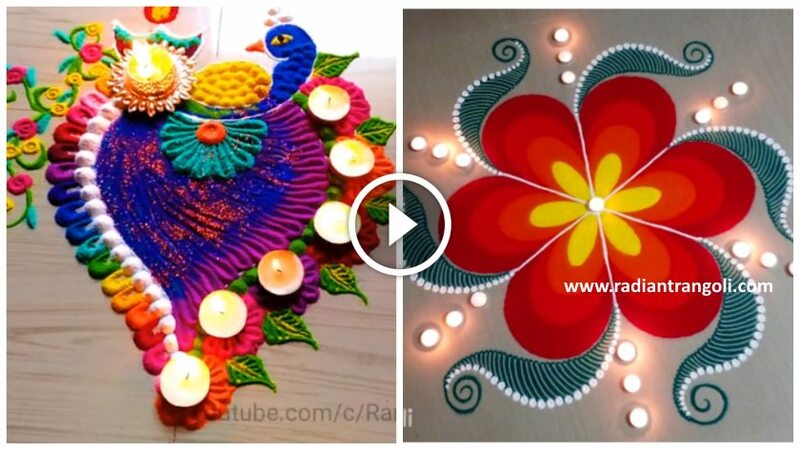 Colourful, Easy and Innovative Rangoli Designs! 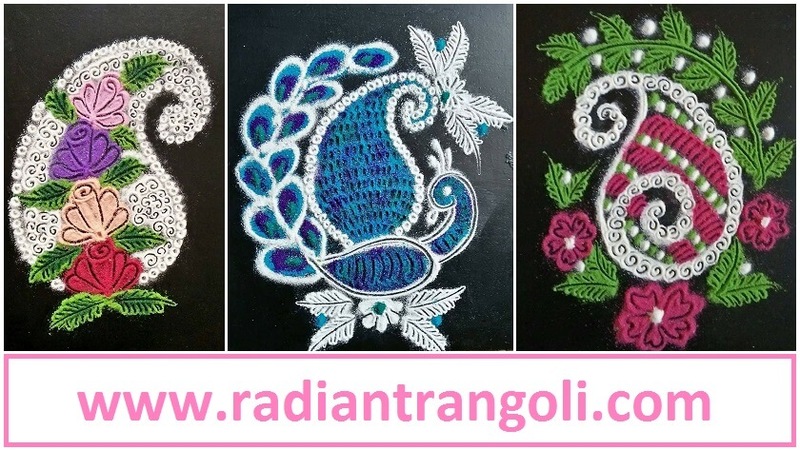 Rangoli is probably one of the most popular and traditional art in India. 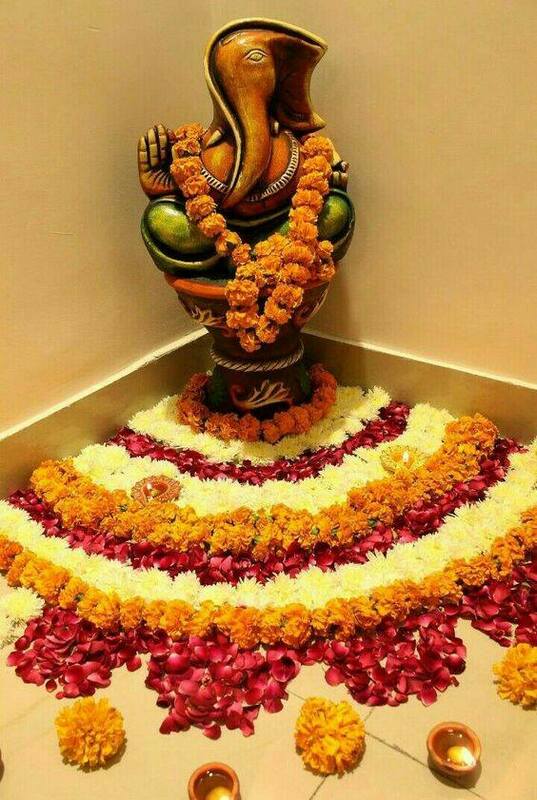 It is the art of painting the floor with various colors and beautiful patterns. Most of these designs are drawn to freehand and then filled with colors. 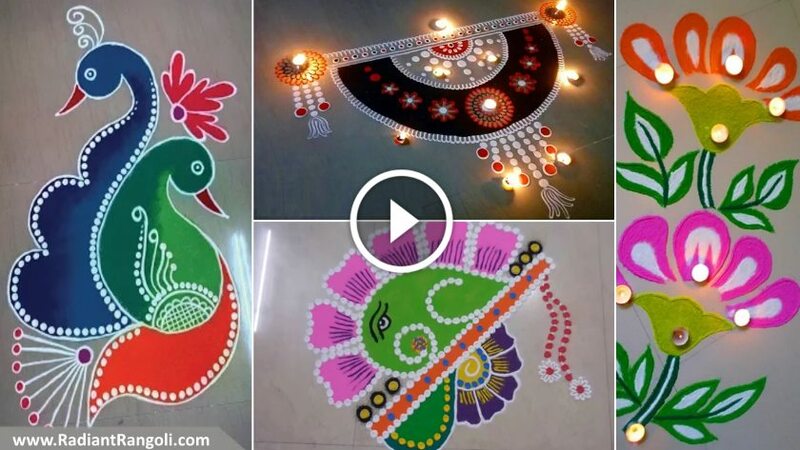 The colors used in these designs are very bright and attractive. 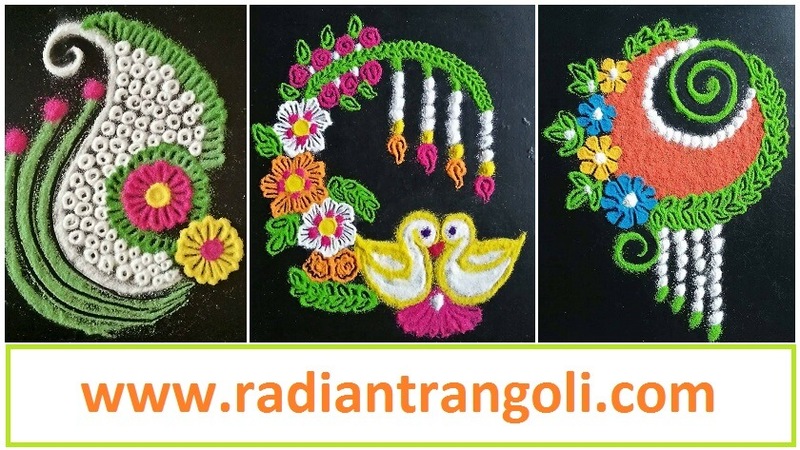 Rangoli patterns differ from region to region and from state to state. 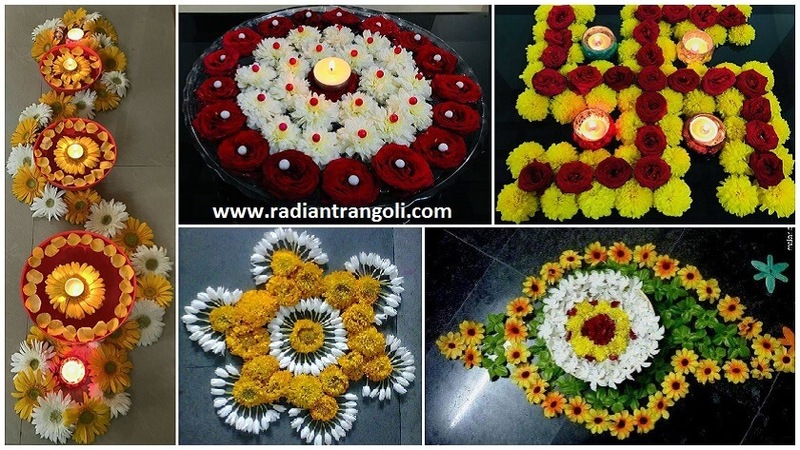 The most attractive (my idea) is Rangoli design with flowers. 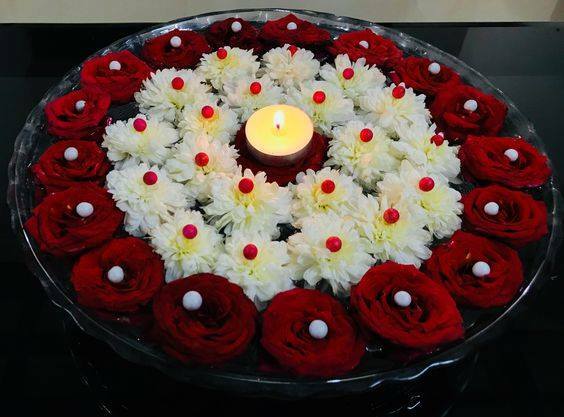 These designs look so attractive, soothing and fresh. 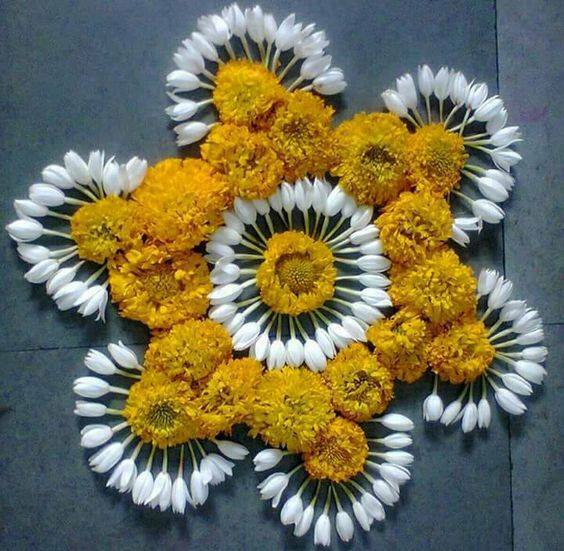 Almost all types of flowers are used in all colors to make complex colors. 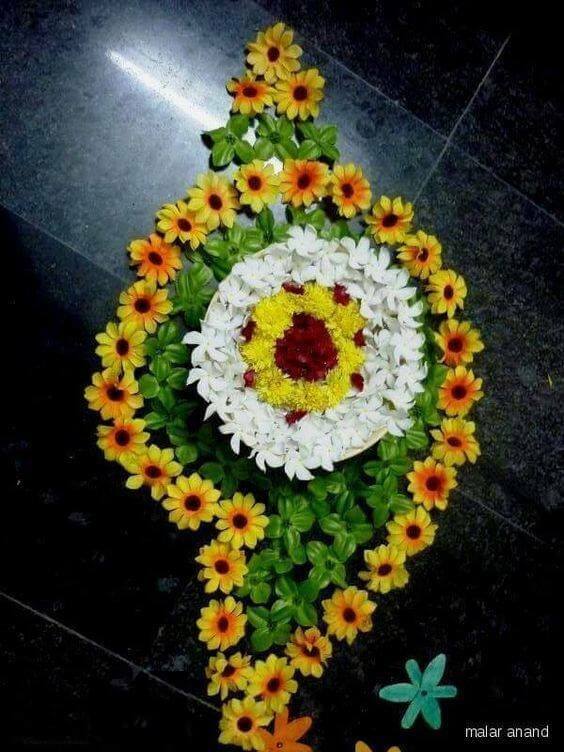 This art of designing flowers with flowers was done in southern Kerala, Kerala, which is also known as God’s own country. Today this system has become a common practice throughout India. 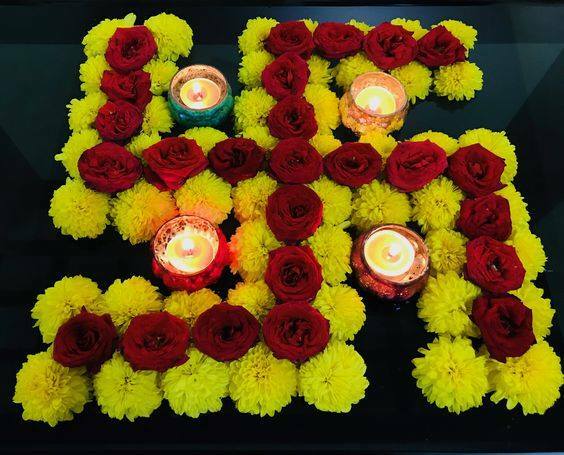 Here we have compiled a list of 10 beautiful Flower Rangoli designs that will not only decorate your floor, but will also add a nice aroma to your home. 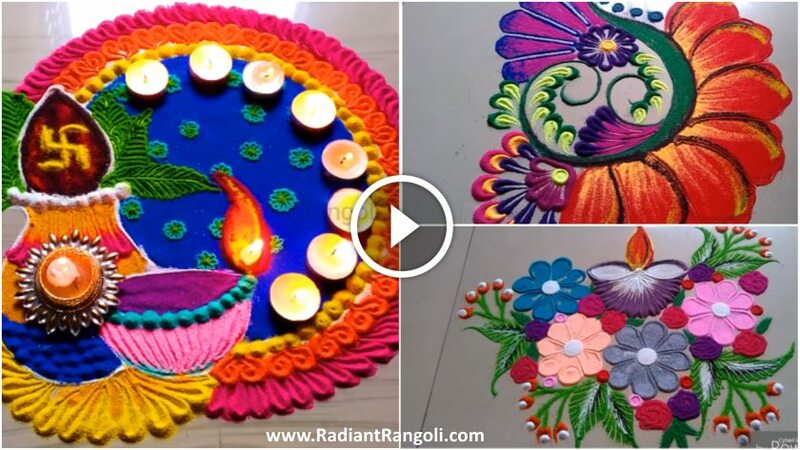 Rangoli is an important part of our Indian traditions. 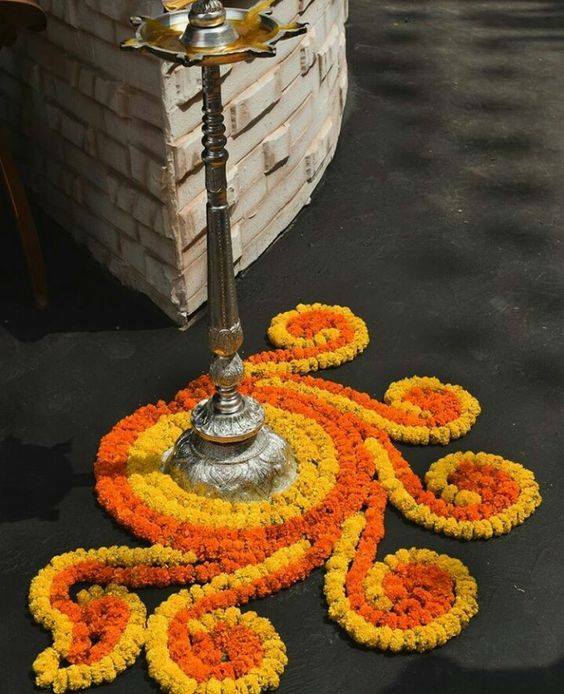 There are patterns that are pulled in living rooms and courtyards, and they contain colorful powder so that they can see them. 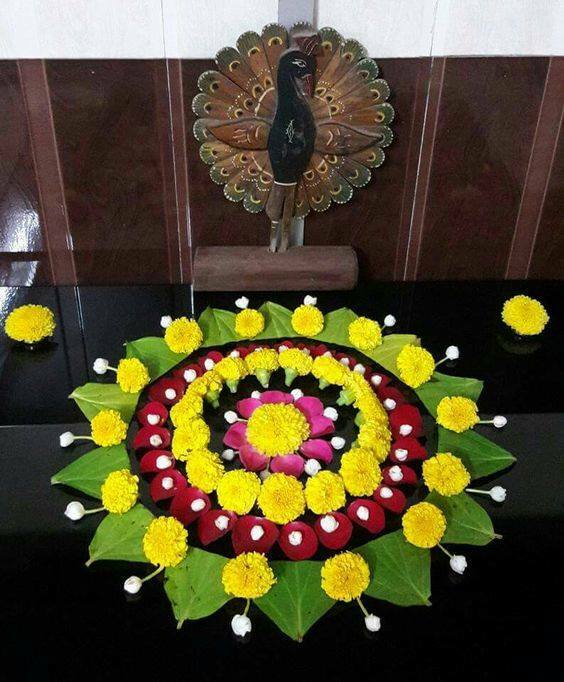 They serve as the living part of Indian festivals and they are done on most auspicious occasions. 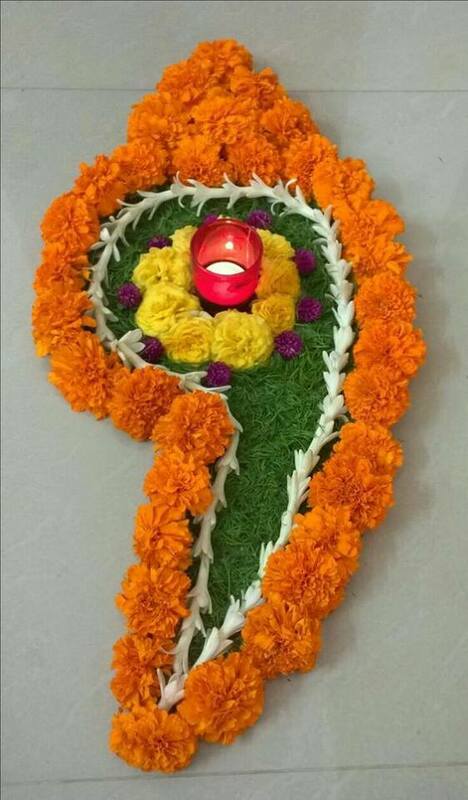 Rangoli designs are known to bring greetings to families, and this includes many milestones in people’s lives. 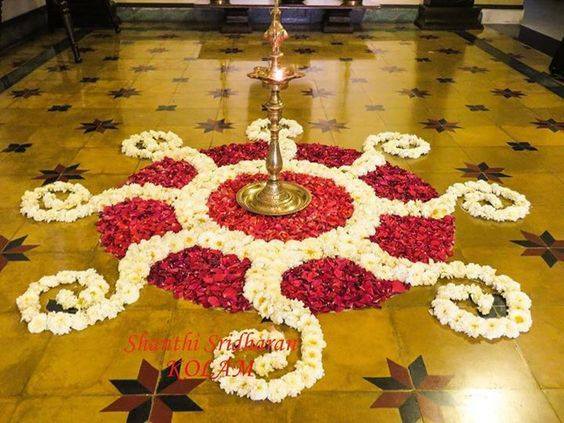 Let’s go through some floral and petals rangolis which are the most used designs for them.